Help Desk Support – Synivate, Inc. Most of the services provided for the monitoring and management of your IT environment can be done remotely, however, there are certain situations where it is important to be able to speak with an IT professional for support. Whether you require repairs for hardware or have questions about software applications and security, Synivate can provide you and your employees with Help Desk and Onsite Support services to keep it all under control. Our team of highly trained and experienced technicians work round the clock to provide our clients with IT services 24 hours a day, 7 days a week. When you need answers to questions or solutions to problems, who are you going to call? Make sure that your staff knows where to go with important questions or issues that could negatively impact your business. Whether you have a small, midsize or large business, it helps to have someone you can trust to take care of problems whenever and wherever they occur. Instead of bogging down managers or other coworkers with questions or pleas for help, gaining access to the Help Desk and Onsite Support services available from Synivate can ensure that your employees get the best possible solutions available. The continued safety and security of your IT environment is important to the success of your business. When your employees need answers, make sure they are seeking help and support from a trusted provider. You don’t want them guessing or trying to find solutions on their own, not when your entire business could be at stake. Help Desk Support is one of the best ways to reduce frustration and downtime at the office while working to boost productivity. Our team of highly trained and experienced IT technicians can help you and your team with any technical problems that occur so you can get back on track and back to work without delay. When you work with Help Desk Support, it is important to understand that the technicians categorize the requests that they receive into various support levels. The higher the level, the more complex the problem will be to solve. 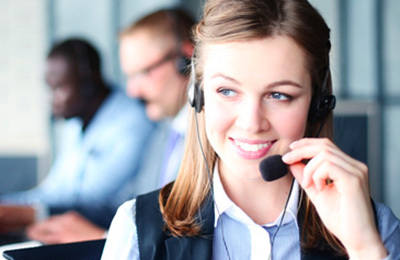 Most Help Desk Support services have up to four distinct levels of support. Level 1 – In most cases, level 1 support is available 24 hours a day, 7 days a week. Any level of IT technician can assist with level 1 support requests. The technician will gather information from the client and analyze the data to determine the best solution. Some of the most common issues that are considered to be level 1 support include basic connectivity issues, email troubleshooting problems, and resetting passwords. If the problem is more complex, it may be reclassified to level 2 support. Level 2 – This type of support is for problems that are more challenging than level 1 support issues. When the problem is a “known” issue, the technicians will look for solutions in the existing Help Desk database. However, if the problem is a new issue, they may need to resolve the problem on their own or reclassify it as a level 3 support issue. Some of the most common issues that are considered to be level 2 support include computer meltdowns or troubleshooting software applications. Level 3 – When a problem is reclassified to a level 3 support issue, that means that it is complex and that there has been difficulty locating a solution. Many times, the problem will lie within the infrastructure of the IT environment itself. As a result, more advanced and experienced IT technicians will work on this issue, such as networking specialists. Level 4 – This type of support is reserved for problems that are extremely complex or that involve cooperative work with multiple products, tools, or vendors that are outside of the organization. Not all IT support services will provide level 4 support, as it requires extremely advanced assistance from high-level tech support providers. Having access to Help Desk Support is a real advantage to most companies. Maintaining such a service in-house with IT staff can be costly and difficult to manage, particularly for small or midsize businesses. The most cost-effective solution to manage a Help Desk Support is to outsource these services to a qualified IT management provider, such as Synivate innovative technology solutions. Our team can provide you with a fully staffed IT Help Desk Support of highly trained and experienced IT technicians. We offer friendly, quick, and comprehensive services that will help you and your employees whenever you need it. In some situations, IT environment management repairs and services need to be performed onsite by a qualified technician. One example of this would be an issue with a wireless router. Another would be a failing hard drive. Both of these situations require actual human response in-person at the site of the problem. Having the option to request onsite assistance is a huge benefit to most businesses. Synivate offers a wide range of onsite support services, including onsite vulnerability assessments, employee education and support, security threat analysis, and other more complex IT problems. When you hire Synivate to provide you with Help Desk Support or Onsite Support services, you gain access to IT professionals who are ready and available to assist you 24 hours a day, 7 days a week. You no longer have to wait for computer repair services or for traditional software support specialists to answer your questions. Our team works directly for you and can provide remote or onsite services whenever and wherever you need them. Waiting for support means more downtime, lost productivity, and the possibility of lost sales and customers. It can also lead to further problems caused by staff trying to fix issues on their own or by employees ignoring small issues that ultimately snowball into larger, more costly situations. Having access to immediate assistance can mean the difference between success or failure for your business in this extremely competitive and high technology world.